Was Someone In Your Family Recently Diagnosed with Head Lice? For those of you who have received a call recently from your child’s school or playgroup informing you that your child has Head Lice and needs to be sent home. Stay calm. 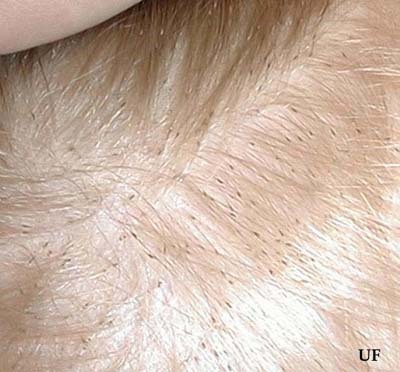 Head Lice is different than Body Lice and is not a sign of poor hygiene. In fact it’s the opposite, Lice prefer to live in clean hair. It allows them to reproduce in a clean and healthy environment. You should also take comfort in knowing that there is a 100% effective and All Natural Lice Treatment Brand called Lice Busters, which would love to help you get rid of lice. You should immediately check other family members for lice and nits. Notify people with whom the infested person may have had contact with recently. Let them know that they may have been exposed to lice. If the infested person is school age, the daycare or school should be notified that your child has lice. Begin Treatment for each family member confirmed with head lice or nits. It’s very important that the whole family be lice free. If one family member has lice or nits, He or she can easily spread it to others. We offer a discreet, all natural lice treatment and lice removal service in the comfort of one of our salons or your home. We promise to get you and your family, back to school or work as soon as possible.